How do you think growing up in the South has influenced your work? Everything runs a bit slower, a bit hotter and more confused in this Southern humidity. That oppressiveness leaked into my fiction. It was around me in the stories my aunt told me about alligators that rose up from the South Georgia swamps to chomp off the meaty legs of small children. Jesus is pervasive in the South, and my childhood was “Christ-haunted.” The devil and evil were real, tangible things during those tender, formative years. It seems like a natural progression to have had both a fascination and aversion to the darker things that lurk in the world and then have that become such an integral part of my writing. What are the themes you think you come back to the most in your work? Why do you think certain themes resonate with you? I consistently come back to the relationships between mother and daughters. The idea that it can be predatory. I constantly come back to the idea that loss is something that cannot be explained or healed fully. Here lately, I’ve been writing more and more about things that scare me in real life and that is completely wrapped up in the nonsensical nature of loss. Do you have any writing rituals you stick to? Minimum of 500 words per day. Every day. No matter what. Lull or Cities Last Broadcast on repeat. How do you manage your time between being a mother, working, and writing? People ask me this a lot, and the honest answer has nothing to do with time management or finding any kind of time I can, but everything to do with how I let things slip through the cracks. My kid probably watches too much television while I’m writing. My house is nowhere near as clean as it could be. I should probably grade essays faster. I forget things a lot. But it’s a weird balance that works for me. I also took a lot of pressure off of myself this year by lowering my daily word count from 1,000 words to only 500. Is there anything you’d love to write you haven’t done yet? I’d love to do something more literary, but I cannot bring myself to carve the spooky out of my writing. How do you feel about snakes? Would you say writing a novel takes a lot of faith? 100%. There’s so much time in sitting with that stack of words alone. So much time to self-doubt and wonder if the whole thing isn’t working. It’s one thing to scrap a 5,000 short story. It’s another to have the sudden realization that 50,000 aren’t working. It takes a lot of faith in your belief that you can come to the page, every day, and do the work. It takes a lot of faith to know that’s enough. Do you like to outline, make it up as you go, or a bit of both? I don’t usually outline, and the time I tried, the novel died after 7,000 words. I like it best when I can discover as I go, but that also leads to a lot of staring at walls and wishing I was a trust fund baby. What writers lately have really inspired you? What writers over your life have had the most impact on your work? 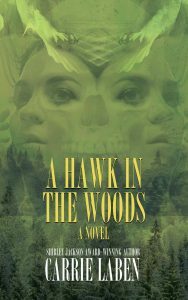 Writers lately include Helen Marshall, Kelly Link, Livia Llewellyn, Amelia Gray, Damien Angelica Walters, Lysley Tenorio, Stephen Graham Jones, Paul Tremblay, Joyce Carol Oates, Michael Wehunt, Ramsey Campbell. This list is longer, but I’ll stop there because there are only so many pages in the world. Over my life is a much more eclectic list. C.S. Lewis, Beverly Cleary, Frances Hodgson Burnett, L.M. Montgomery, R.L. Stine, Stephen King, Shirley Jackson, Christopher Pike, Anne Rice, John Irving, Pat Conroy, William Faulkner, Flannery O’Connor, Eudora Welty, Vladimir Nabokov, Edgar Allan Poe, F. Scott Fitzgerald, Zora Neale Hurston, Emily and Charlotte Bronte, Ray Bradbury. What’s the hardest part about being a commercial artist? As in creating content for sale? The constant worry and anxiety that people are going to hate everything I do. The fear of being called a fraud or a hack. You know. The typical. Do you think being completely complacent is the death knell of progression in art? I think being uncomfortable or at least uneasy with your work is what keeps you moving forward. It’s like a musician who puts out album after album of songs that sound exactly the same. Eventually, people stop paying attention. It’s the same for fiction. 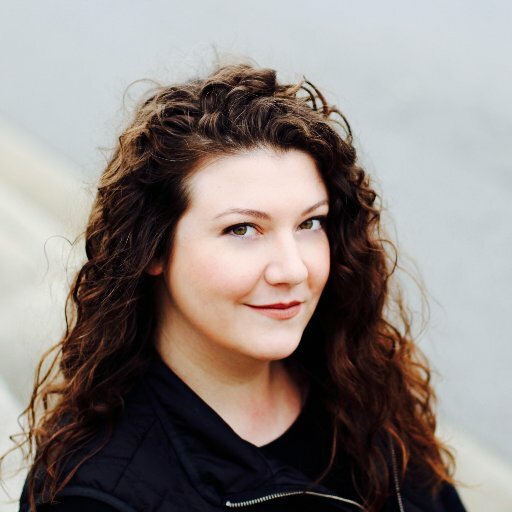 KRISTI DeMEESTER writes pretty, spooky things in Atlanta, Georgia. Her work has appeared in publications such as Black Static, Apex Magazine, The Dark, and several others. Her work has been reprinted in Year’s Best Weird Fiction Volumes 1 and 3. Her debut short fiction collection, Everything That’s Underneath, is forthcoming this year from Apex Publications. In her spare time, she alternates between telling people how to pronounce her last name and how to spell her first. 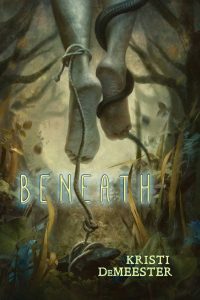 Beneath is her first novel.